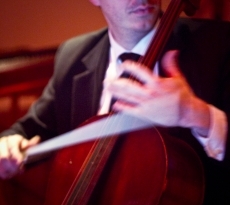 Tristen is a versatile acoustic and electric cellist specializing in new music performance and sound design for dance and theatre. Based in Perth, Tristen has recorded for German SWR and the ABC radio with New Music ensemble Decibel. Tristen is a founding member of bands Schvendes, Fall Electric and silent film band Viola Dana, winning the WA Music industry award for best instrumentalist three times. Tristen was nominated for a 2013 Helpmann award for Best Music Direction for his work on Barking Gecko and PIAF’s production of Duck, Death and the Tulip. Through these projects and many others Tristen continues to develop and explore the sonic range of the cello.